How Do I Send Disappearing Messages On My iPhone? Invisible Ink! 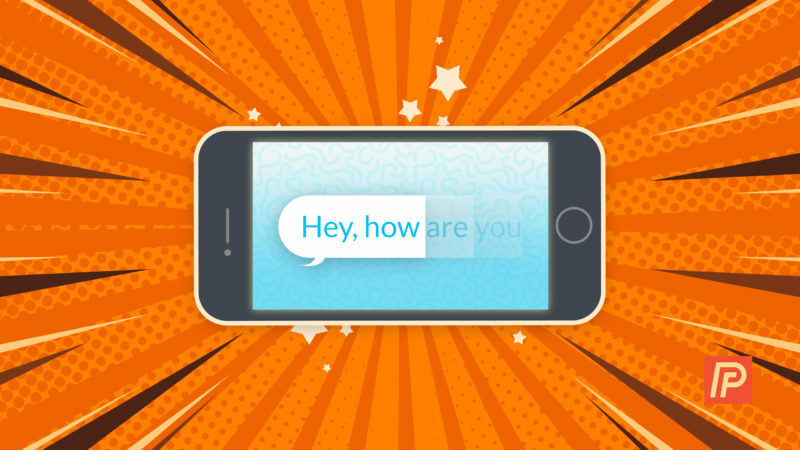 You are at:Home»iPhone»Messages»How Do I Send Disappearing Messages On My iPhone? Invisible Ink! You’d like to send a hidden message to that special someone. You’ve heard that you can do it with an iPhone, iPad or iPod, but you’re not sure how. In this article, I’ll show you how to send disappearing messages written in invisible ink using the Messages app on your iPhone and how to read invisible ink messages on your iPhone. Apple introduced the Invisible Ink effect in the new Messages app in iOS 10. How Do I Send Disappearing Messages Written In Invisible Ink In The Messages App On My iPhone? Open the Messages app on your iPhone and type the message you want to send with invisible ink. Tap the gray dot on the right side of INVISIBLE INK to select that text effect. Tap the blue send arrow to send a disappearing iMessage written in Invisible Ink. How Do I Read Disappearing Messages Written In Invisible Ink On My iPhone? If someone sends you a disappearing message written in invisible ink, tap on the text bubble and run your finger back and forth to read what it says. Congratulations! You’ve just learned about a great new feature in iOS 10 — the ability to send disappearing written in Invisible Ink on your iPhone, iPad, and iPod. Enjoy, and if you have a question, feel free to leave a comment below. Next Article Why Are There Fireworks In The Messages App On My iPhone?